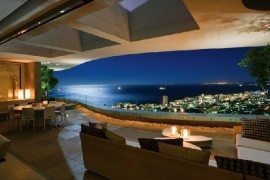 Cape Town is an amazing city that is lucky enough to have the majestic Indian Ocean to the South and the vast Atlantic flanking it on the western horizon. 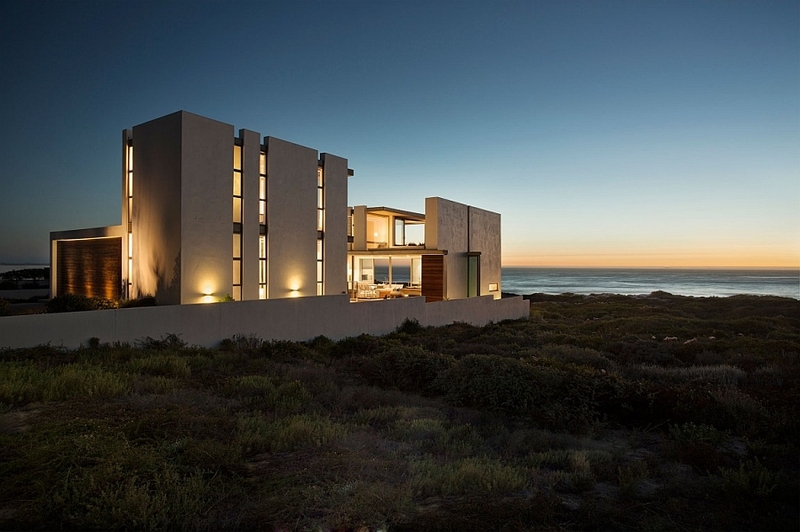 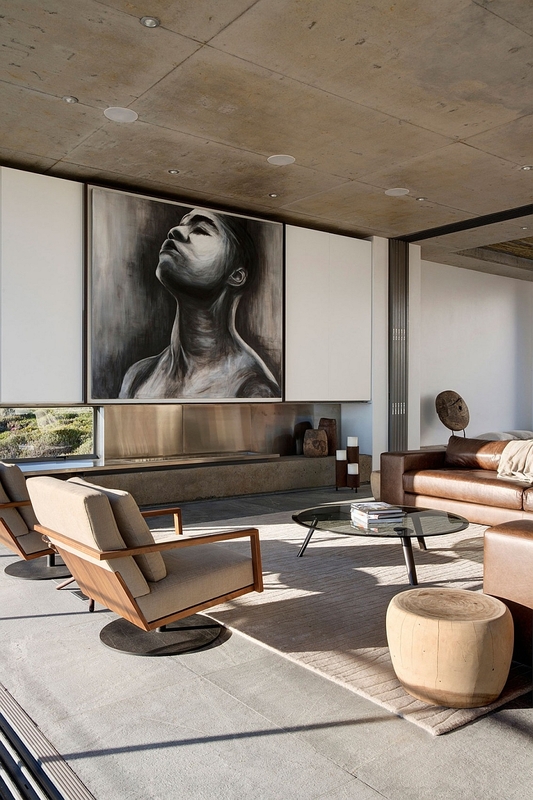 Nestled on a lovely, secluded strip of land 90 kilometers north of Cape Town is the beautiful Pearl Bay Residence that charms you with an inviting, open design and grand ocean views that leave you simply spellbound. 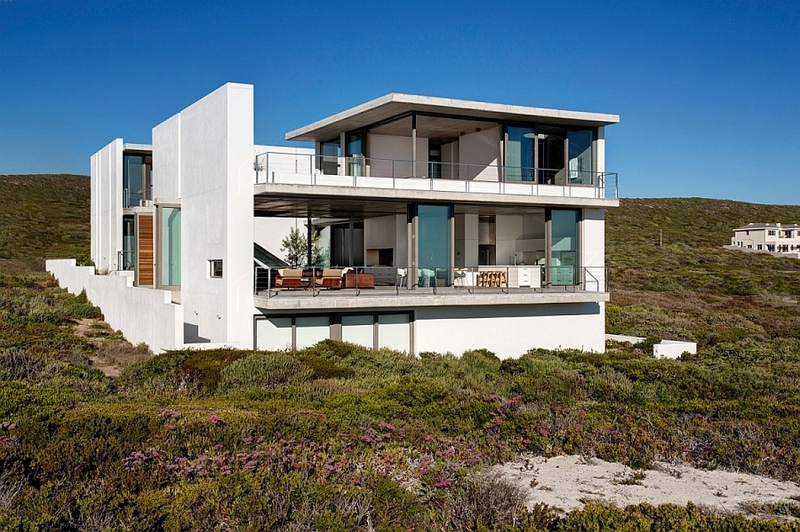 With a large dune on one side of the house offering ample privacy, the rear of this trendy contemporary home opens up towards the beach, thanks to the expansive use of sliding glass doors. 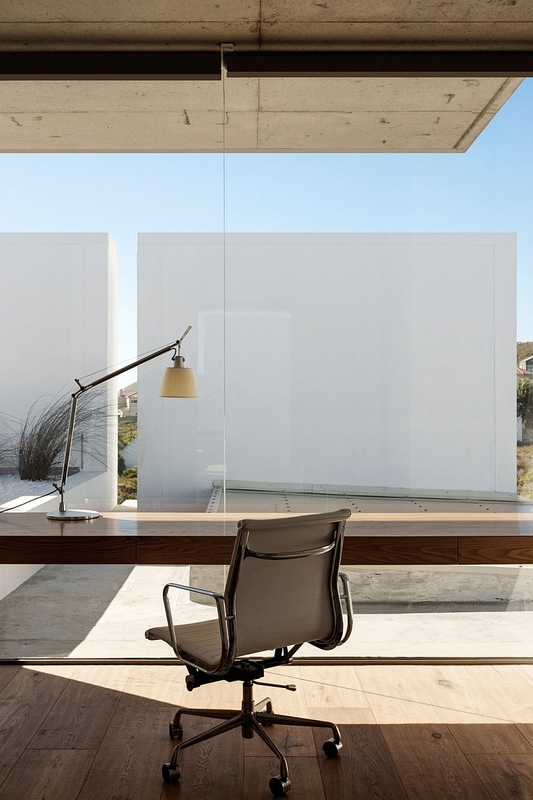 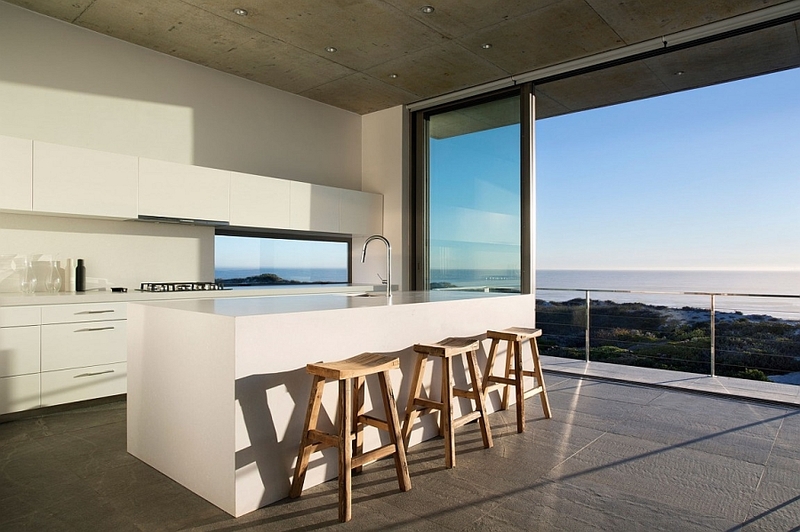 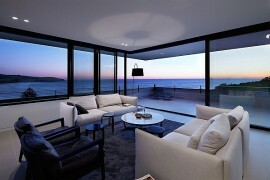 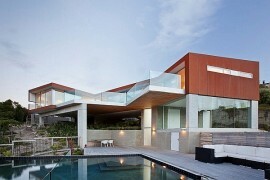 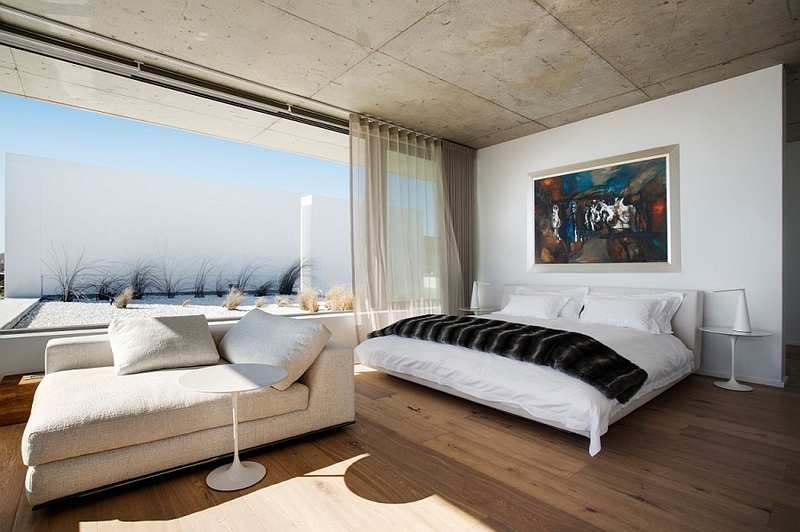 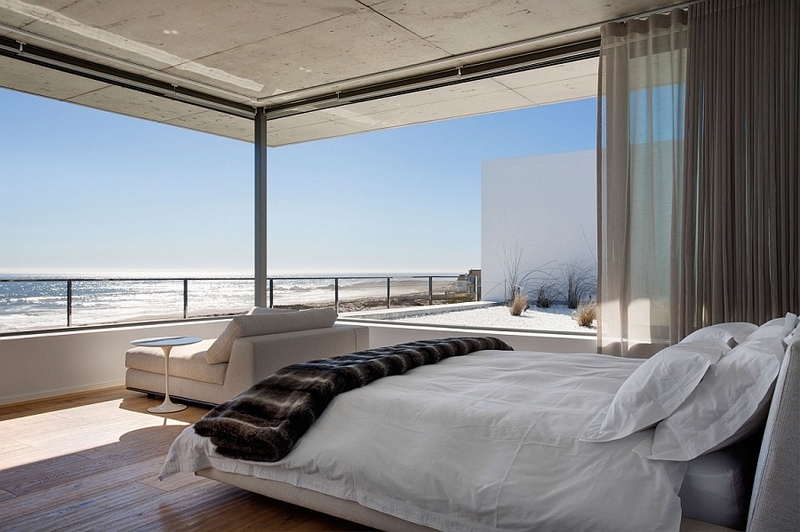 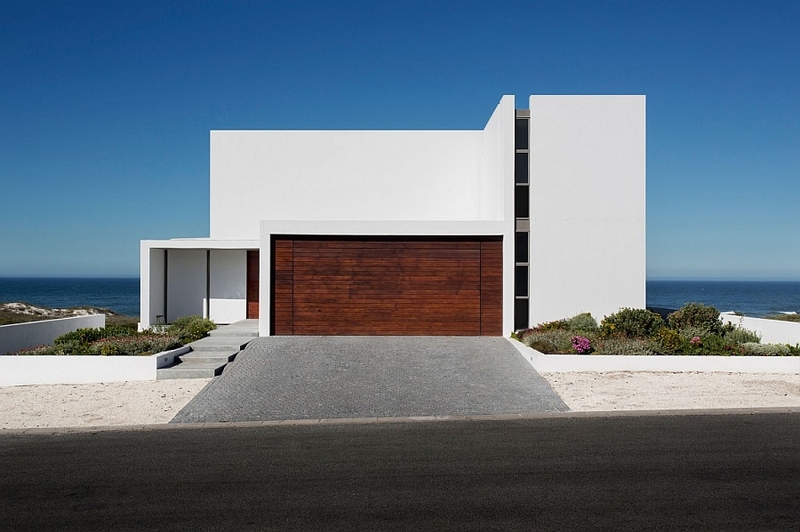 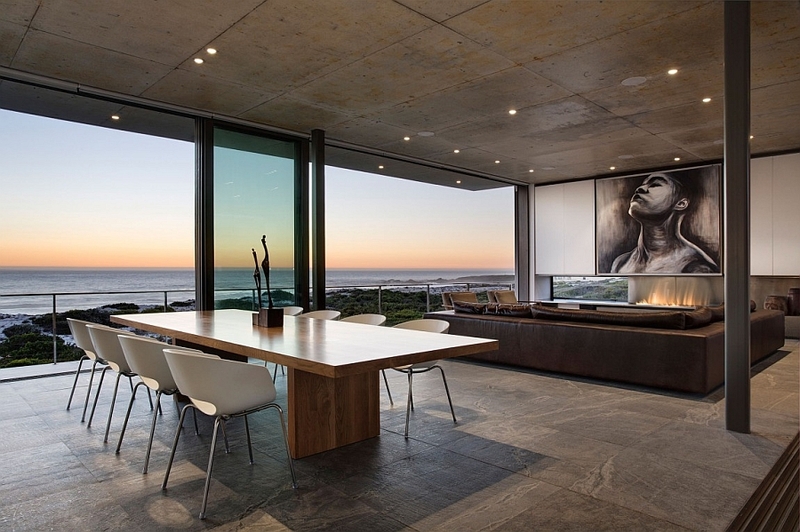 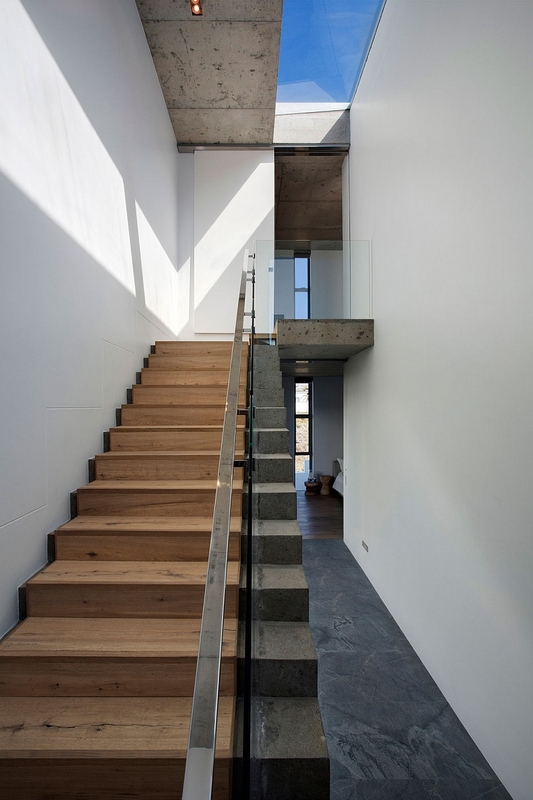 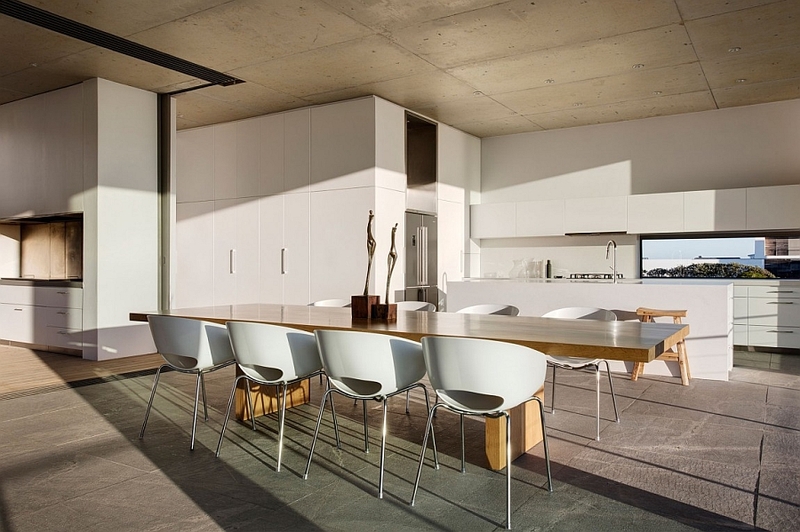 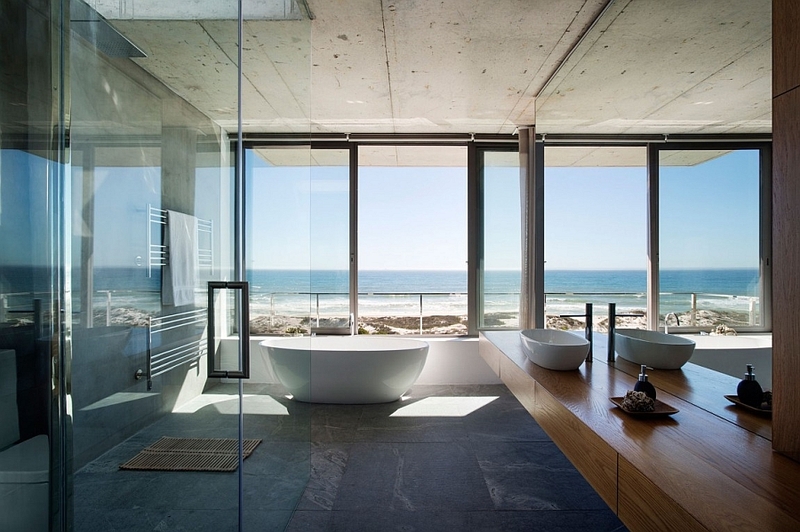 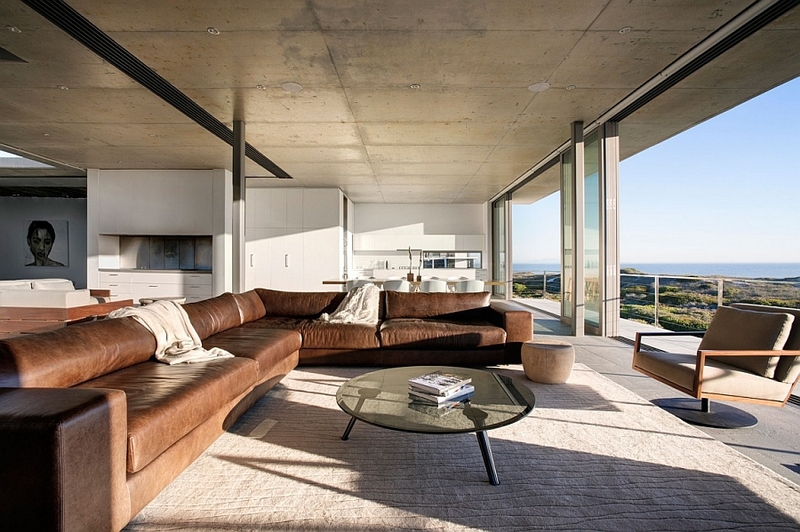 The ‘view’ is the most important aspect of the house and shaped its contours, as architects from Gavin Maddock Design Studio ensured that every room of the home enjoys unabated access to the sight of the sand and the surf that is just a stone’s throw away. 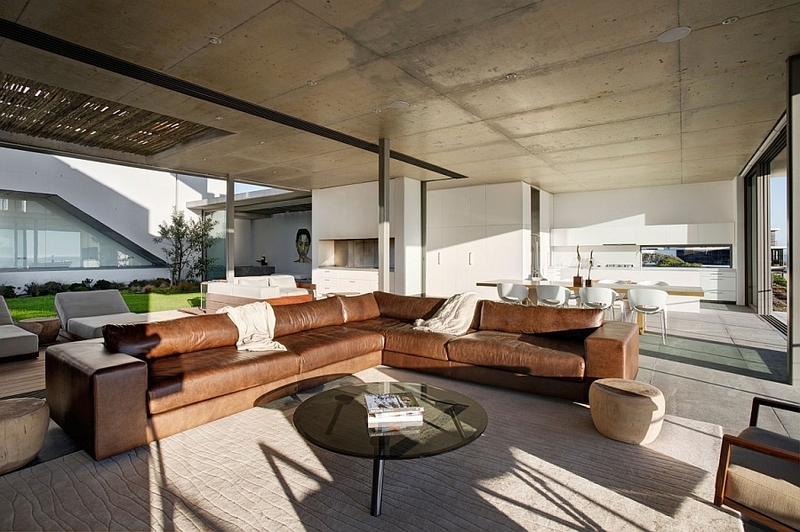 Spread across 600 square meters and two different levels, the grand residence comprises of three bedrooms and four bathrooms along with the living area and the balcony. 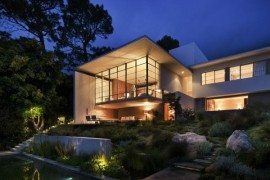 The lower level houses the living space, dining area and contemporary kitchen along with one of the bedrooms, while the exclusive and luxurious master suite with spa-like affluence sits on the top level. 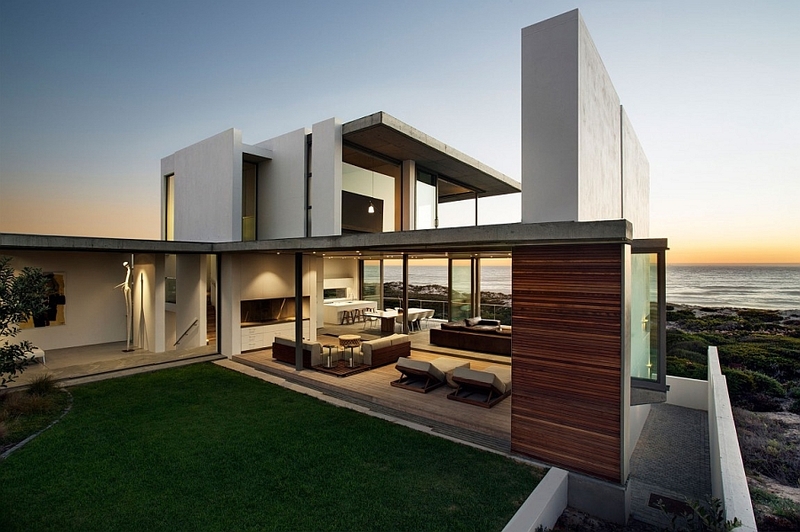 A front and rear pavilion, indoor courtyards and open balconies extend the living area outdoors as the panoramic views outside add to the overall appeal of the house. 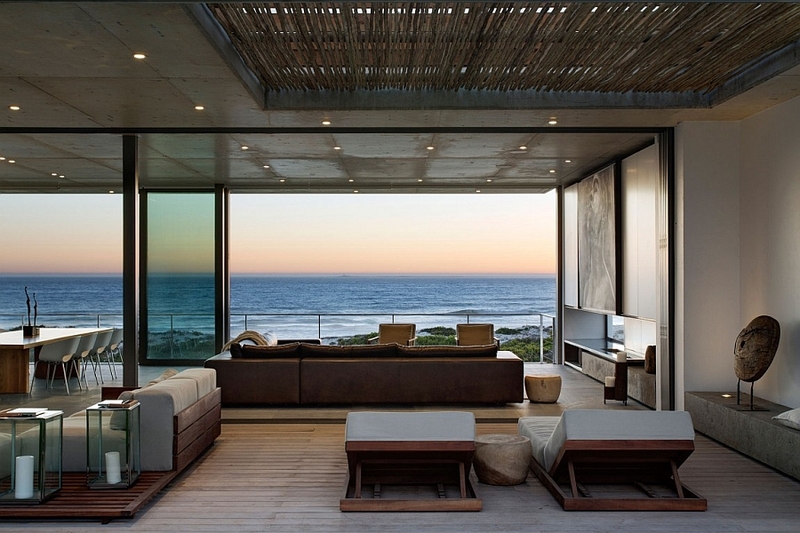 The neutral color scheme and unassuming yet plush decor ensure that the ocean backdrop remains the defining characteristic of the home. 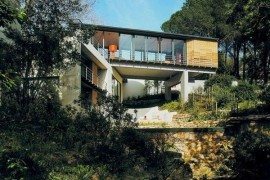 Bringing glass, steel and concrete together with panache, this tranquil getaway is all about the landscape that surrounds it!